Low code application development platforms, such as Quick Base, simplify the app creation process significantly. They do so by offering an great user interface and removing the complicated, code-heavy obstacles of traditional computer programming. 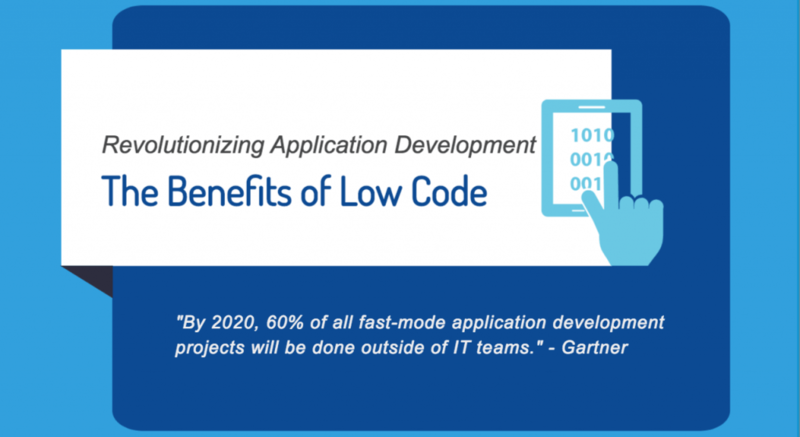 Low code offers a plethora of business benefits. Apps built for Quick Base’s platform have been known to result in ROIs of up to 260%! By switching to low code applications, not only will you save time, but your IT staff will have their resources freed up to focus on other critical matters. Best of all, low code applications are easily scalable. You can evolve them as your businesses grows. Quick Base solution providers, like Trinity, can take away all the burden of creating a custom application. Trinity builds amazing cloud solutions and business process improvements, tailored to the unique needs of each client. Flexibility and scalability are integral to these solutions, since Trinity understands that good businesses evolve over time. For over 20 years, Trinity has worked with clients to improve their efficiency, increase service levels, and upgrade their quality of output.